Our Murfreesboro dance studio offers Ballet, Broadway, Hip Hop, Jazz, Tap Classes, and more! Located conveniently in Murfreesboro, our dance studio offers dance classes in Fairy Tale Ballet, Broadway, Hip Hop, Ballet, Jazz, Tap, and more. We instruct the smallest of dancers through adults and aim to instill in all of our students a life-long love of the arts along with a strong sense of self-expression that extends beyond the dance studio. At Dance Classics, we foster a family-oriented atmosphere and are committed to outreach in our greater community. Whether your dancer is looking for recreational classes or has bigger dreams of dancing professionally, Dance Classics can fit their needs. Because of our extensive background in dance, education, and professional training, we have been able to develop a logical, imaginative curriculum for every level and type of class that we offer. Come and see for yourself the Dance Classics difference! Dance Classics is now accepting enrollments for our new season beginning August 11th. 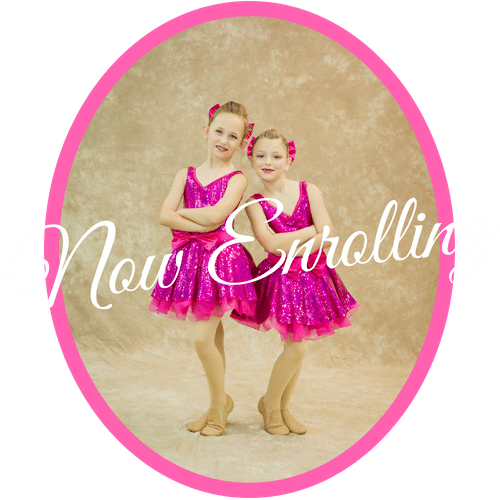 We offer a unique blend of dance classes in Murfreesboro for all ages and levels. Our experienced instructors teach energetic classes that focus on proper dance technique. Our goal is for students to develop a life-long love of the arts and encourage creative expression. Whether your dancer is looking for recreational classes or has bigger dreams of dancing professionally, Dance Classics can fit their needs. Contact us if you need assistance with class placement. Filled with dancing, fairy tale stories, costumes, props, creativity, and enchantment. Children learn basic ballet concepts, steps, terminology, and creative expression. Class includes a brief story time in which children listen to a classic fairy tale and dress in colorful and creative costumes. This class combines Broadway-style dance with acting, staging, mime, and expression to create performers with confidence and good stage presence. Students will learn stage direction and character building, as well as the stories and music from popular kid-friendly Broadway musicals.